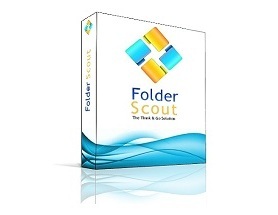 Folder Scout has been designed to let you easily manage your Folders and Files. It will be very helpful to instanly jump to your folders. With its Predictive Search Engine, browsing and finding your computer folders will be a child's play! If you find any bug in Folder Scout, feel free to send an e-mail to bugs@folderscout.com. Please include information about your operating system version and a short description about the bug. A screen capture is also a big help. Thanks in advance.